Historians will look back at disclosure in 2017 and give credit to one key pivotal figure who change the course of human history by making disclosure possible. Not much of a figure. Too skinny if you ask me. (05-08-2017, 08:22 PM)Kreeper Wrote: Not much of a figure. Too skinny if you ask me. Davis is not a god. He has stated several times he does not want to be worshipped. David is merely a facilitator, enabler and messenger to the most important time in human history. When the human race grows up and realized we are not alone. Yes I agree. 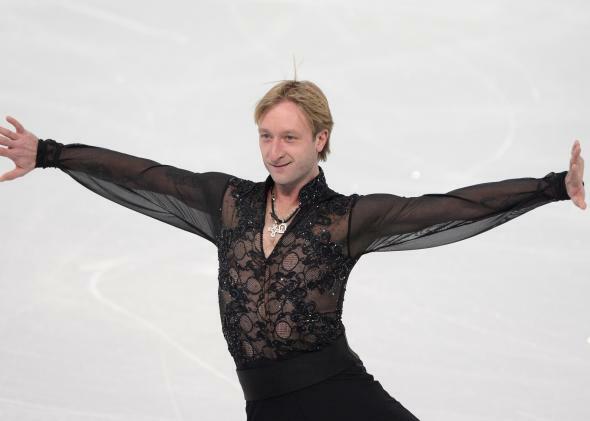 David's spirit animal is more like the figure skater. I'm okay with him other than he should never make predictions. That ascension party was a real turd. (05-08-2017, 10:06 PM)Stiggy Wrote: I'm okay with him other than he should never make predictions. That ascension party was a real turd. Actually David was 100% accurate for that on timelines B and D. But ours (A) and C it did not occur. I'm thinking Stiggy was talking about (A). The one that everybody knows about, and we're on? You must think your timeline is at the center of the universe. Certainly 'everybody' would include everybody and not jus those on your timeline dear. I thought he flew away on his unicorn? (05-08-2017, 10:39 PM)Gumby Wrote: I thought he flew away on his unicorn? Don't ever mock Ra again punk! David reportedly did this to a man who kept heckling for two days straight at the concious life expo. Because it was done telekinetically they cant charge David with a crime :) I asked David backstage if it was possible to do this remotely to internet trolls. His response, "Oh yeah"
Oh wow, such mad skills. I bet he remote views his poo as well.